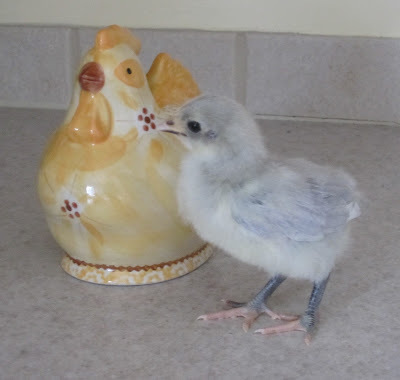 I thought I would do a post for each chick, starting with the Lavender Orpington. This British breed was introduced in1886. 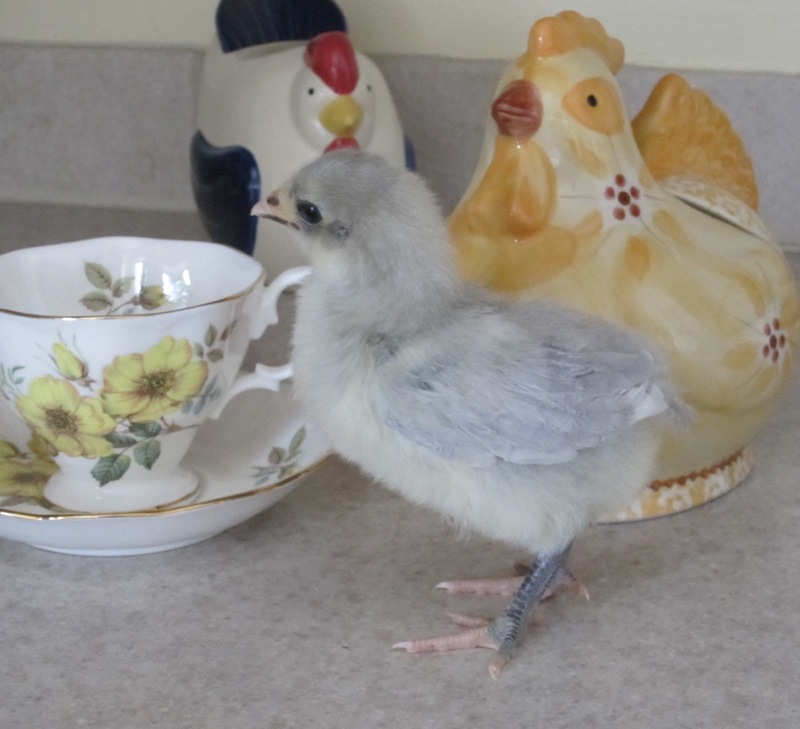 The Lavender color is so new it has not been admitted to the Poultry Club standards. 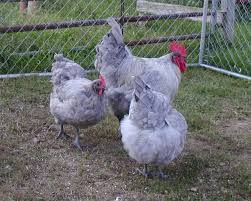 They are a very large and heavy bird with a docile temperament. 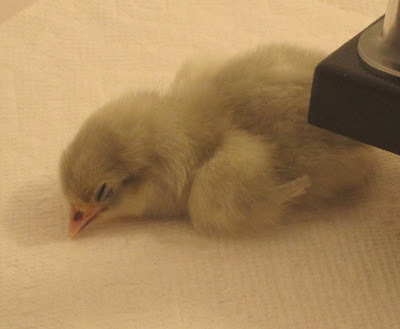 They lay about 90-150 light brown eggs per year. They can go broody and make good mothers. They have a medium single comb. 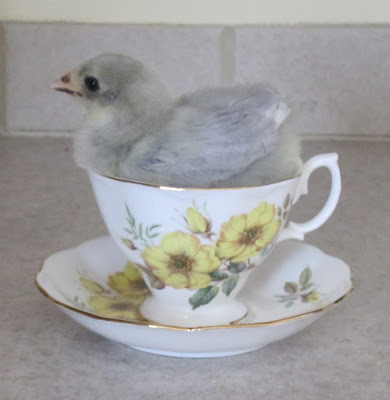 She seems to be the shyest one of the flock. It's interesting that the four birds have kinda paired off. 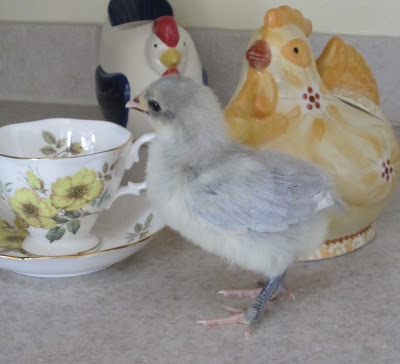 When I have the Orpington out of the brooder the Cream Legbar chirps for her missing friend and the Orpington chirps for the Cream Legbar when I have her out. 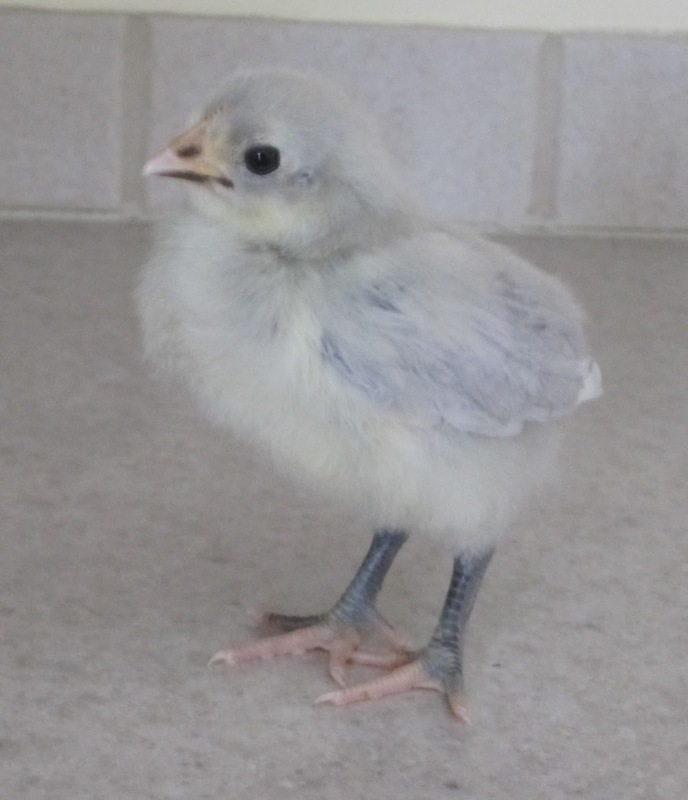 You can see she is starting to get her feathers on her wings and the blue coloring is already showing on her legs. This is what she will look like in a few months. The hens of course...I hope! You never know until they start crowing if you might have a boy by accident! What to name her? Any ideas? I thought Lavender was too obvious. Maybe Laverne. 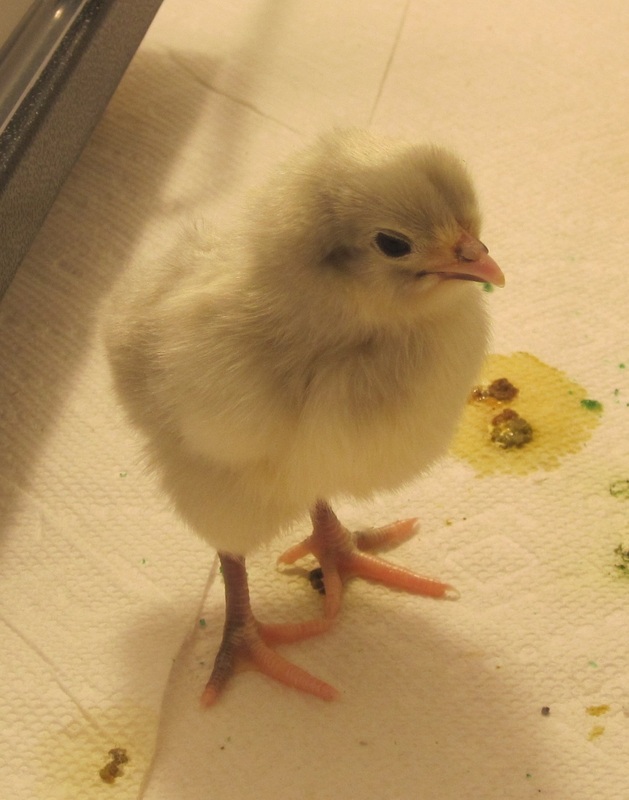 Okay I've got four girls to name here, I'm gonna need some help.